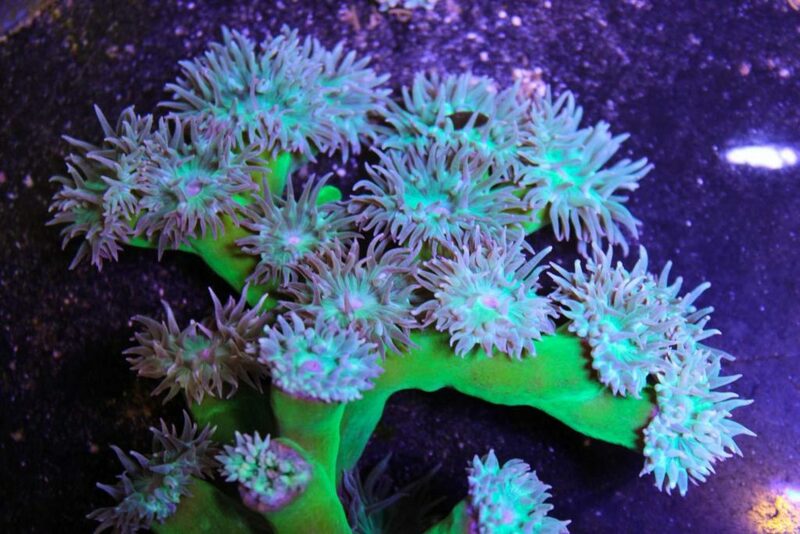 Duncans are very easy to keep and great corals for beginners. Healthy Duncans have fleshy heads and are usually open. They require medium light and medium flow but can tolerate higher flow. We recommend placing them on low lying rocks or middle shelf rock work. Although Duncans have tentacles, they do not extend out far from their base. They are considered peaceful and their tentacles do not sting. They will do well with other non-aggressive corals. Feeding is not necessary but feeding is highly recommended for better health and faster growth. Duncan can eat a tremendous amount of food and we feed our reef roids which can be purchased here. They will already appreciate any other meaty foods we use vitalis lps pellets.